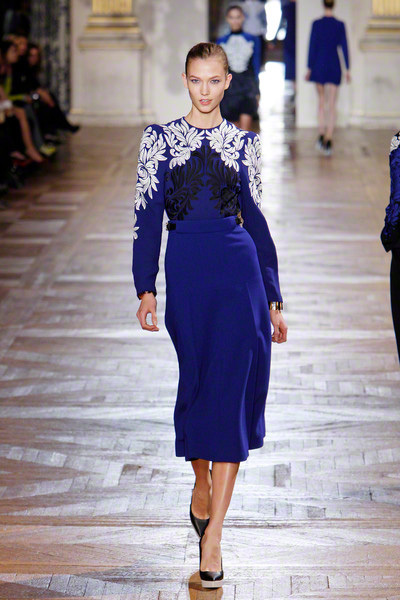 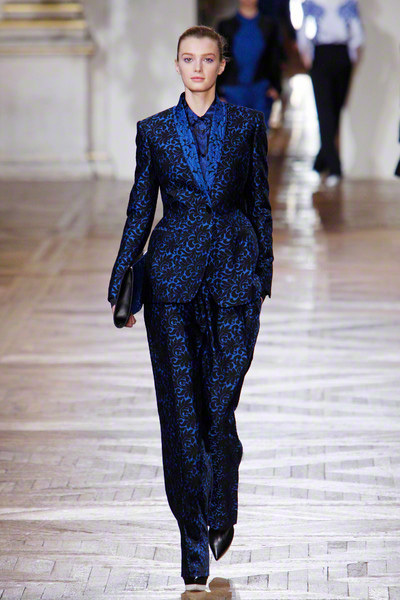 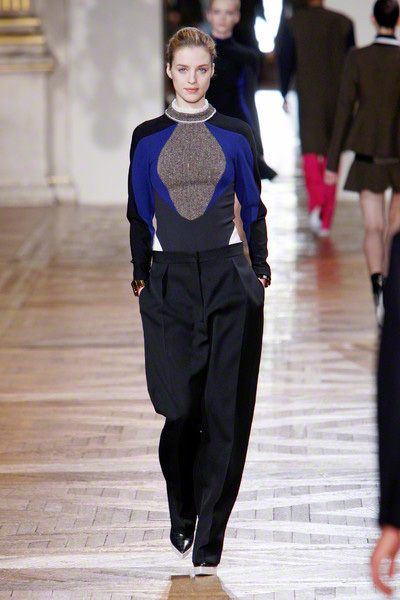 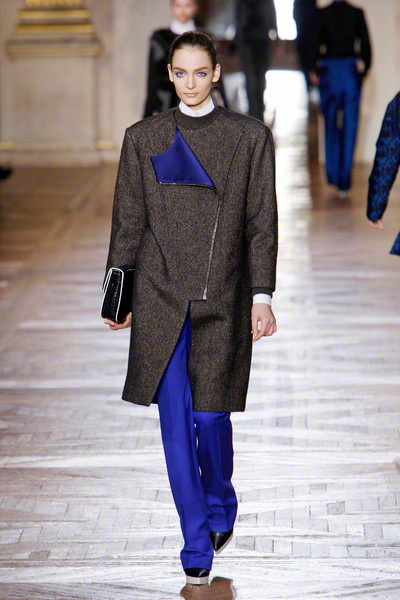 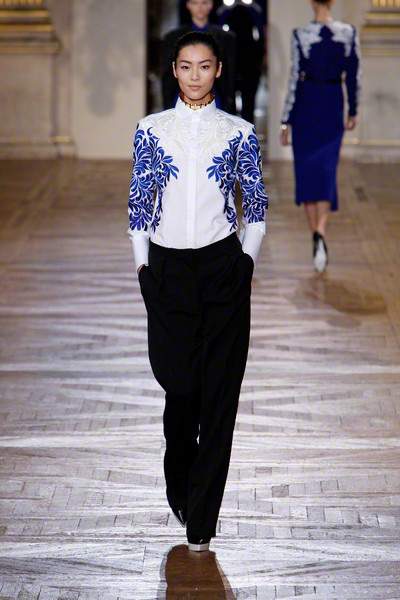 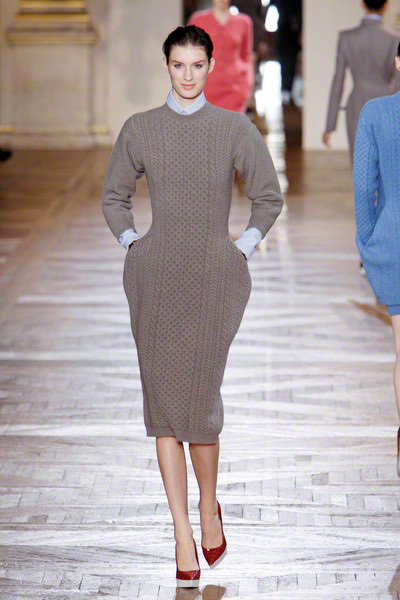 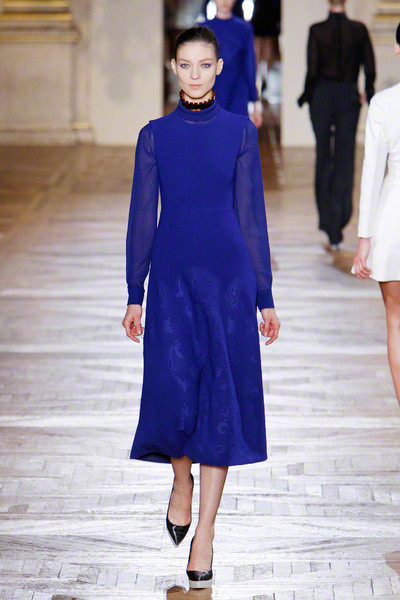 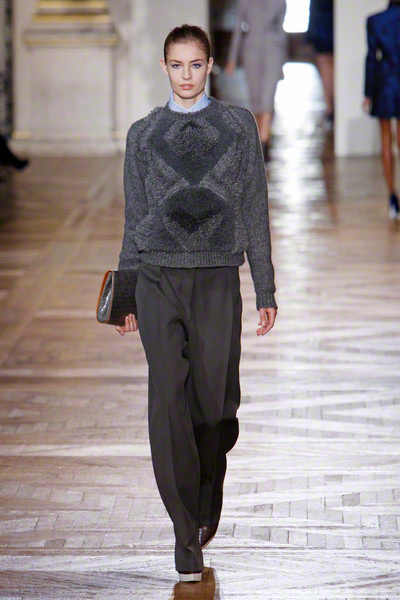 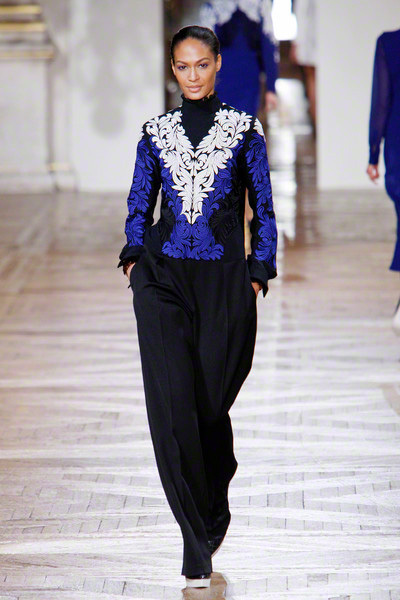 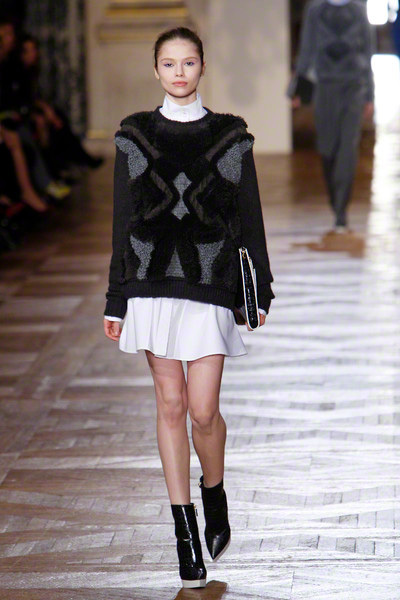 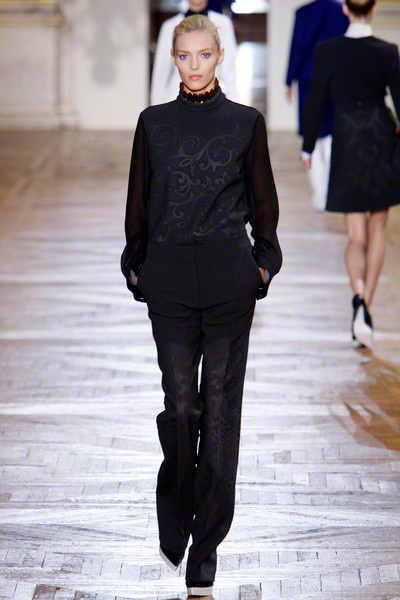 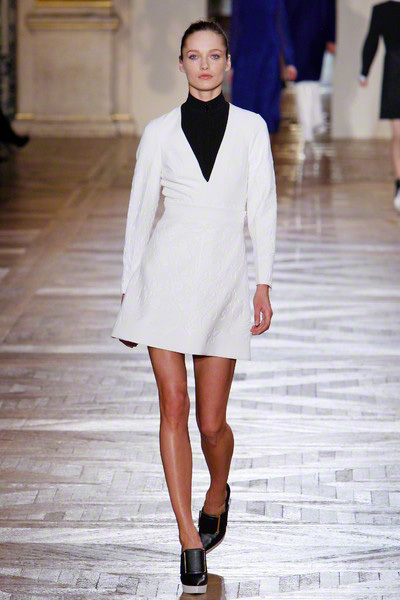 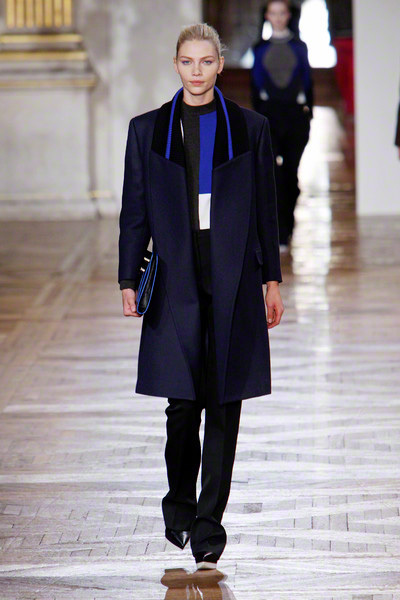 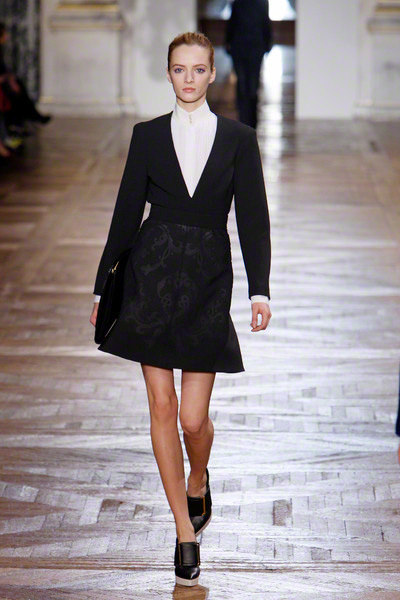 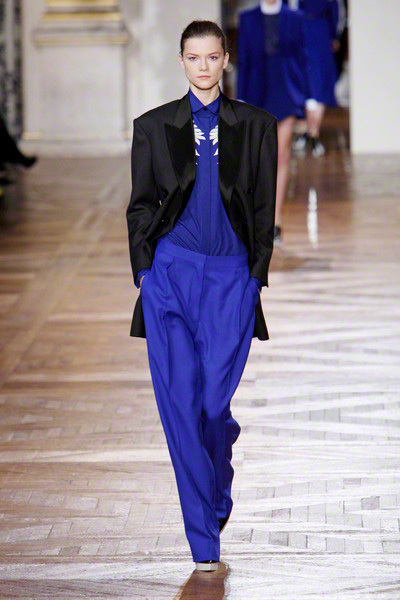 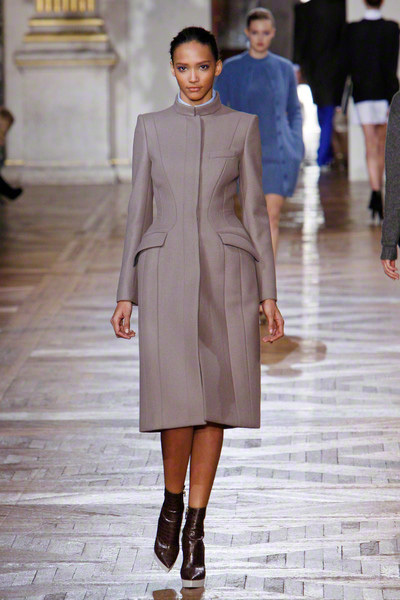 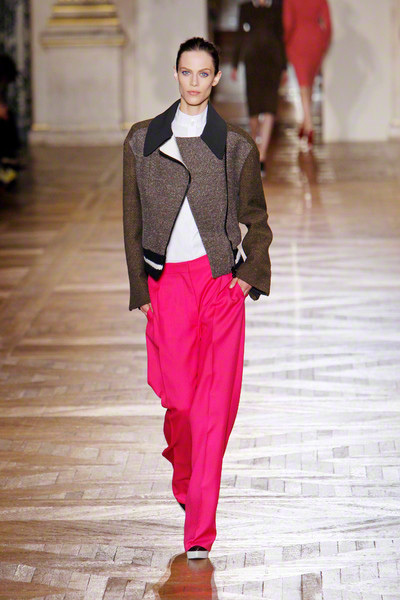 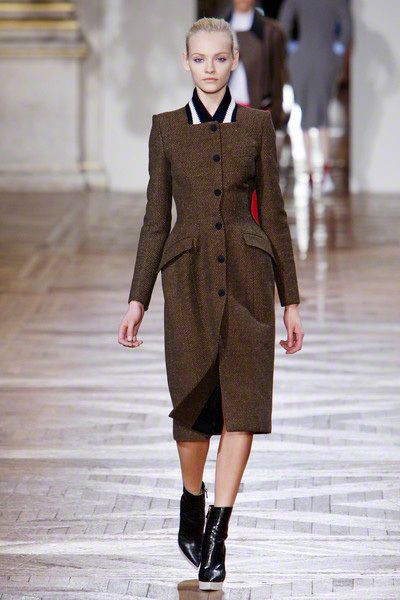 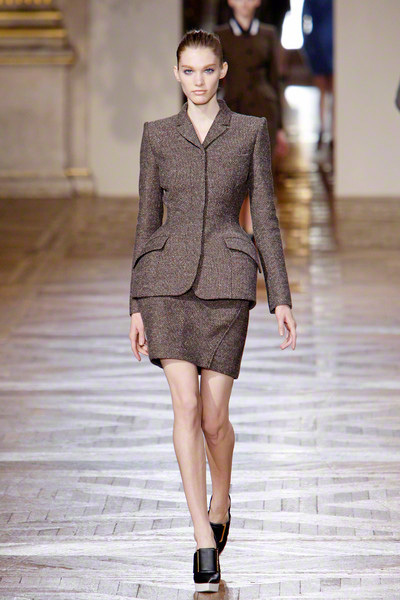 Stella McCartney focused at the English country life and mixed that with a more urban, sartorial style. 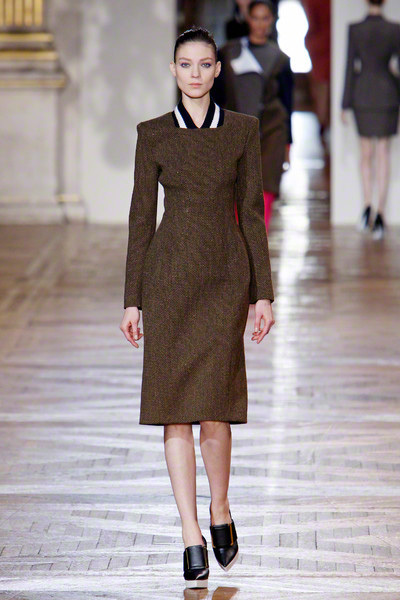 The clothes ranged from slouchy low-slung trousers to the more feminine, like curvaceous brown tweed dresses with ribbed knit collars and a trio of colored knits worked in the multi-textured Aran tradition. 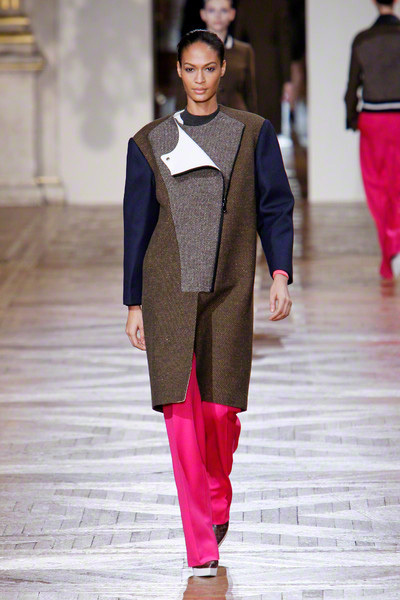 McCartney also put an athletic direction into the series of dresses that closed the show — curvy and in ergonomically arranged collages of Brit tweeds and techno stretch.